One of the best things about Indy in the spring and summer are the many patios that open up. 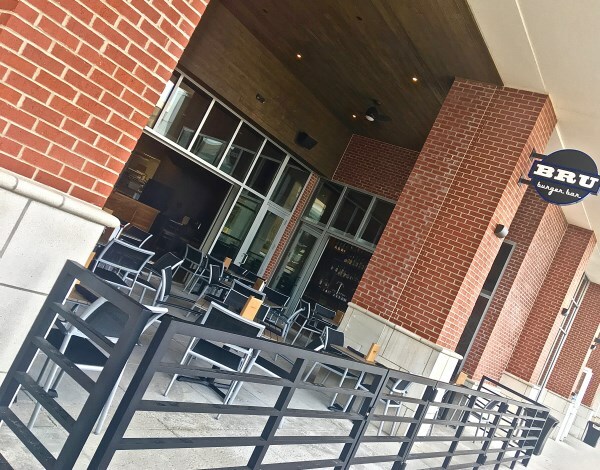 Whether you prefer to enjoy a romantic meal or get together with friends for a drink, there are several great restaurant patios throughout Indianapolis. Here's a look at seven of the best choices for this spring and summer. Found very close to all the major sports venues, Scotty's is the place to relax and enjoy lunch, dinner or drinks on the patio. They have a very large patio with plenty to enjoy including fire pits. Enjoy the lake life without heading out on the water at Bella Vita. This patio is always full of activity and may be the best in all of Hamilton County. The menu provides both American and Italian dishes and the views are very enjoyable. A hotspot for professionals looking to unwind after work, Bru Burger Bar gives patrons a great combination of excellent burgers and craft brews. They even won the title of Best Burger in Indianapolis! If you love people watching, this is your downtown Indianapolis patio. Found in one of the hippest areas of Indy, Public Greens is the top patio in Broad Ripple. It's a great place for people watching and provides a menu full of natural food. In fact, Public Greens has its own garden. If you love fresh food, this is the patio for you. Another great downtown patio is found at Plat 99 Mixology Lounge. Meeting up with friends for a drink doesn't get much better. Plat 99 provides some of the best craft cocktails in Indy and some of the best views. The patio is located above the Alexanders Hotel with views of the city and Lucas Oil Stadium. Enjoy the ambiance as you sip on some of the finest cocktails in downtown. With a menu changing every single day and an in house bakery, it's easy to find something to enjoy at Bluebeard. The open-air patio provides a great place to relax in a casual environment. It's decorated with paper lanterns and patio umbrellas. Enjoy good food, excellent drinks and a lively atmosphere at Bluebeard. Enjoy a fountain view from the patio at Matt the Millers. This hot spot in Carmel also has one of the largest beer and wine menus in the entire state. Even when it's a little chilly, you can enjoy this patio with the heaters running year-round. Patio season is here and Indianapolis provides a number of great bars and restaurants with excellent patios. Whether you want to head downtown, enjoy Broad Ripple or hit one of the suburbs, you'll find great patio dining and drinking in just about every corner of Indy.